Today we had some give aways on 4chan and face book. Having some fun and giving away stuff. We finished the give away by a big sorry to the guys at Bay 12 and lots of free keys for them to have a chance to not hate us for the "rip-off" status we got the time of relase. So we are hoping to show that we are not as bad as some of the rage has seams to put us on. Also soon we will anounce some new stuff that we have been working on. Are thwy updates? there might be somthing fun for all dwarfs fans out there ;). Stay tuned for more info in the coming weeks. 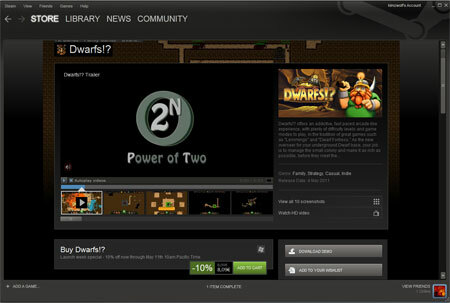 Now the game is out on Steam so all you Dwarfs!? fans out there spread the word! Finally it's going to come out! The game will be out the 4th of May on Steam! So mark the date and be ready to have some amazing digging fun! Tower defense mini game in the works! We have decided to add some extra gameplay to dwarfs?!. So heres a prewew of the new mode! Dwarfs is moving forward and the early stages of towerdefense is showing. Moving forward agients an early year realese! Dwarfs own home page is finally up and running! 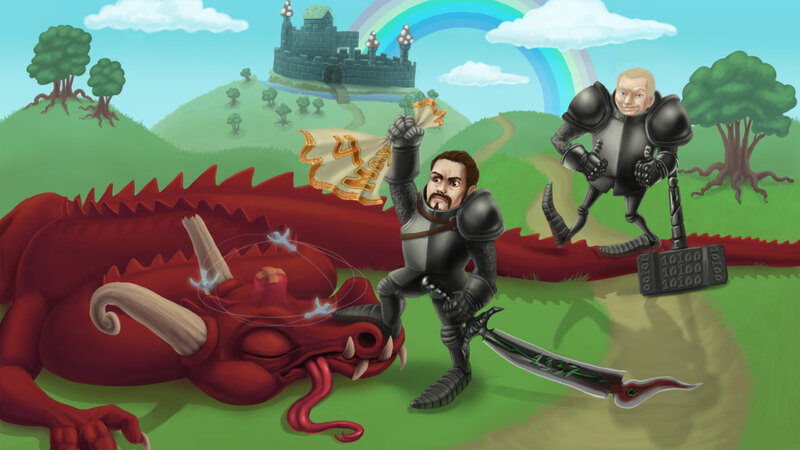 Webdesign Dwarf has not slept for the entire weekend, but has finally finished!